Hundreds of students across high schools in Brampton will be walking out of class Thursday to protest the Ford government’s recent changes to the education system. 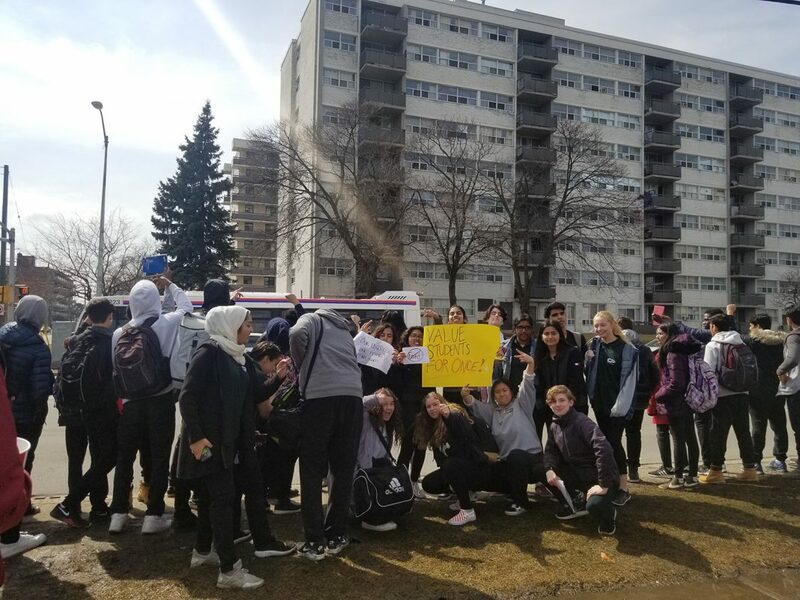 Just two weeks ago students at Central Peel Secondary School staged a walkout, the first in Brampton. Now walkouts are happening at a bunch of schools, including Heart Lake, Cardinal Leger, and others. Other protests have been happening province-wide. Students say they aren’t happy about the decision to increase class sizes and to move more of their learning online. Students also have concerns about the government’s planned cuts to OSAP, which would see the elimination of free tuition for low-income students and no interest-free grace period after graduation. These changes will impact many of them as they prepare for post-secondary studies in the next few years. The students say they have bigger plans beyond the walkouts. They plan to use the momentum of the walkouts to meet with local representatives at all levels of government and continue the conversation to make sure their wishes are heard.